“We invite graduate students with interests in Shakespeare, Renaissance, and Early Modern Studies to join us in June for the Seventeenth Annual British Graduate Shakespeare Conference. This interdisciplinary conference, celebrating its seventeenth anniversary in 2015, provides a friendly and stimulating academic forum in which graduate students from all over the world can present their research on Shakespeare, the Early Modern period, or the Renaissance. In accordance with the Shakespeare Institute’s emerging reputation as a place for creative criticism, we also encourage creative responses. The conference takes place in an active centre of Shakespeare and Early Modern scholarship in Shakespeare’s home town, Stratford-upon-Avon. Undergraduate students in their final two years of study are also invited to attend the conference as auditors. Plenary speakers include Chris Laoutaris (University of Birmingham), Laurie Maguire (University of Oxford), and Andy Kesson (University of Roehampton). See our blog for information on plenary speakers as they are confirmed. Delegates will also have the opportunity to attend the RSC production of Othello, directed by Iqbal Khan (Much Ado ’12), and starring Hugh Quarshie (Faust, Julius Caesar ’96) and Lucian Msamati (Pericles ’06) at a group-booking price. Lunch will be provided on each day, and we will be hosting a party and a reception for the delegates. We invite abstracts of up to 200 words for papers twenty minutes in length on subjects relating to Shakespeare, Early Modern, and/or Renaissance studies. More creative forms of criticism, including original writing, may be submitted, also requiring a 200 word abstract. 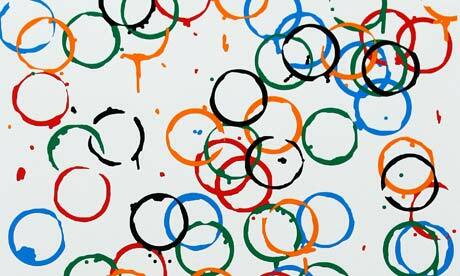 We welcome papers from a wide variety of disciplines, from literature to art history and beyond. Delegates wishing to give papers must register by 23 April 2015. (Abstracts cannot be considered until the delegate has registered.) Auditors are encouraged to register by 21 May 2015 for early-bird pricing. Due to the growing success of this annual conference, we strongly encourage early registration to ensure a place on the conference programme. For more information, find us on Facebook, on Twitter, and at britgrad.wordpress.com, or email britgrad.conference@gmail.com. 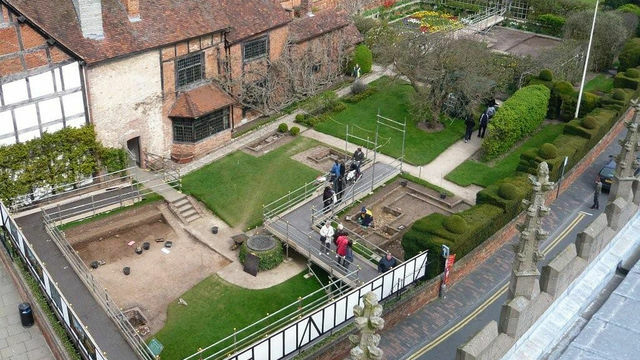 “Anyone who has paid the entry fee to visit Shakespeare’s Birthplace on Henley Street in Stratford-upon-Avon—and there are some 700,000 a year who do so—might be forgiven for taking the authenticity of the building for granted. The house, as the official guidebooks state, was purchased by Shakespeare’s father, John Shakespeare, in two stages in 1556 and 1575, and William was born and brought up there. The street itself might have changed through the centuries—it is now largely populated by gift and tea shops—but it is easy to imagine little Will playing in the garden of this ancient structure, sitting in the inglenook in the kitchen, or reaching up to turn the Gothic handles on the weathered doors. In Shakespeare’s Shrine Julia Thomas reveals just how fully the Birthplace that we visit today is a creation of the nineteenth century. Two hundred years after Shakespeare’s death, the run-down house on Henley Street was home to a butcher shop and a pub. Saved from the threat of an ignominious sale to P. T. Barnum, it was purchased for the English nation in 1847 and given the picturesque half-timbered façade first seen in a fanciful 1769 engraving of the building. A perfect confluence of nationalism, nostalgia, and the easy access afforded by rail travel turned the house in which the Bard first drew breath into a major tourist attraction, one artifact in a sea of Shakespeare handkerchiefs, eggcups, and door-knockers. Live from Stratford Upon Avon, Dan Snow and Sian Williams continue their series celebrating the best in British history. In this programme, they investigate claims that William Shakespeare may not have been the author of the classic plays, and join an excavation at the house where he died. A ‘real Ophelia’ for Shakespeare? An Oxford historian has found evidence of a story that could be the real-life inspiration for Shakespeare’s tragic character, Ophelia. 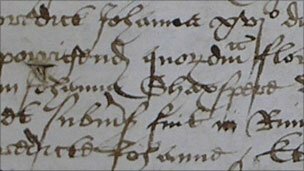 Dr Steven Gunn has found a coroner’s report into the drowning of a Jane Shaxspere in 1569. The girl, possibly a young cousin of William Shakespeare, had been picking flowers when she fell into a millpond near Stratford upon Avon. “It was quite a surprise to find Jane Shaxspere’s entry in the coroners’ reports – it might just be a coincidence, but the links to Ophelia are certainly tantalising,” he said. The coroners’ report, originally written in Latin, describes the death of two-and-half-year-old Jane Shaxspere, who drowned picking marigolds in a stream beside a millpond.